When it comes to customer service, every generation wants to be shown respect. Obvious? Yes. Easy? No. Respect means different things to different people. In order to show proper respect to your customers, you need to understand who they are and what they value. Here are five tips for showing Millennials respect that will build brand loyalty and improve customer service scores. Tip #1: Don’t make them wait. Millennials came of age with a smartphone in their hand. The world is – and always has been – quite literally, at their fingertips. They have never lived without computers and are unlikely to ever have a landline. Communications – often via SMS or chat applications – are quick and informal, but friendly. They value instant gratification and can be impatient if they don’t get it. Whether they’re calling into your contact center or using web chat, Millennials want prompt answers to their questions. Tip #2: Personalize customer service interactions. In addition to being digital natives, Millennials grew up at a time when trophies were given out for participation, and adults tried to protect children from the evils of the world. They were raised to feel valued and very positive about themselves. As young adults, they are ambitious and confident and value personal attention. Respect means being treated as an individual and being recognized for one’s achievements. Tip # 3: Empower agents to solve problems. This generation was invited as children to play a lead role in their families’ purchasing and travel decisions – they were treated as equals. As adults, they respond poorly to inflexible hierarchical organizations, people who act in an authoritarian manner and those who expect to be respected due to higher rank alone. Respect, they feel, is earned based on competency, rather than job title or age. As a result, Millennials are likely to become frustrated by customer service agents who can’t authorize certain actions and become disgruntled if made to wait for a manager. Tip #4: Digitalize and automate manual, outdated customer service processes. Millennials refuse to settle for the status quo. They plan to be the generation that turns around all the wrong they see in the world today, and they plan to make those changes using technology. They see as a sign of disrespect any requirement to do things a certain way just because that’s the way it’s always been done. And, they have high expectations. Tip #5: Don’t assume that because they’re young they’re also uninformed. Millennials are likely to know as much about your company’s products or services as your agents – after all, they have access to a wealth of information, including the reviews and first-hand experiences of their peers. When engaging with this generation, give them the benefit of the doubt but make it easy for them to get more information if needed. While each generation perceives respect differently, they can all be serviced accordingly – and with ease – using an omnichannel customer engagement platform. Check out our white paper on customer service for Millennials to learn more about this generation and how to adapt your omnichannel customer engagement strategy to meet their expectations. 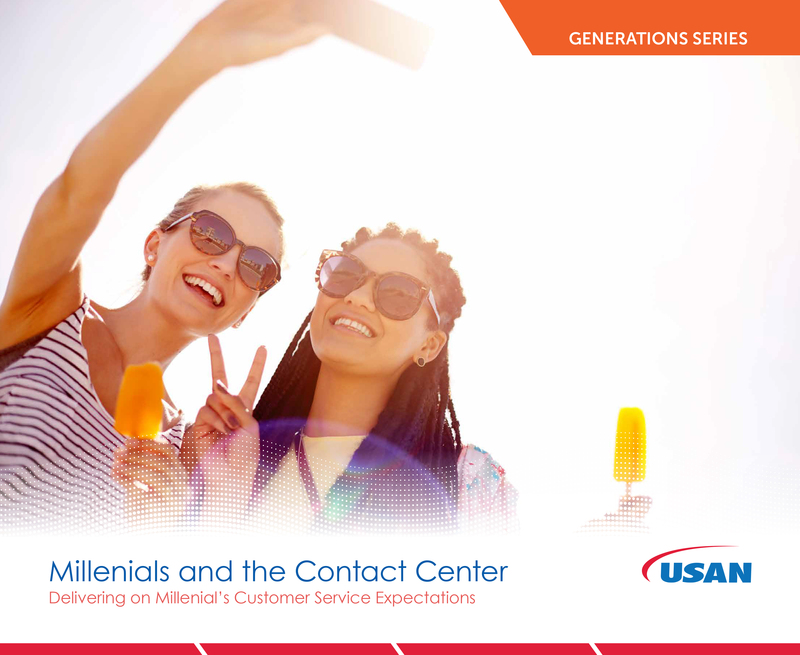 For more information about Millenials and Contact Centers, download the white paper “Millenials and the Contact Center” our latest in the white paper series “Generations and the Contact Center”.